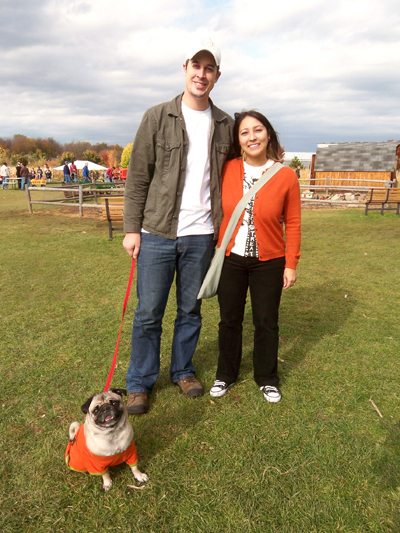 Today we had sunny weather for my 10th Annual Pumpkin Picking Party. That's 10 years of pumpkin slaughtering. 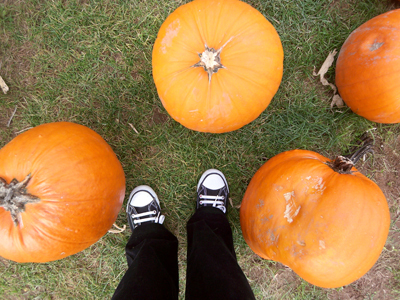 "Please don't leave me here"
Pumpkins were picked, carved and then consumed in the form of pie. This year's crop of jack o'lanterns. wow did you guys carve those freehand? Is your's the owl? 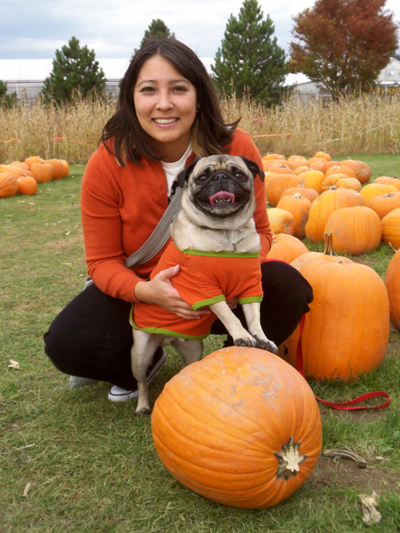 I love how you and Oscar coordinate in your orange. Some used patterns, some did freehand. Yup, the owl is mine. I am still on my owl kick. 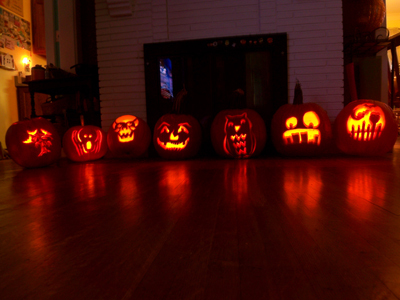 Wow, those are some awesome jack o'lanterns! 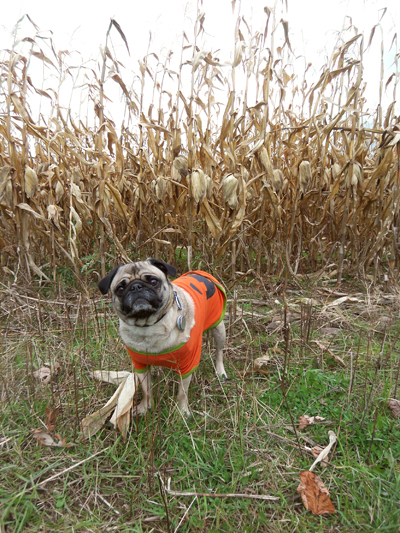 You picked the best pumpkin farm in the area! Nice photos!